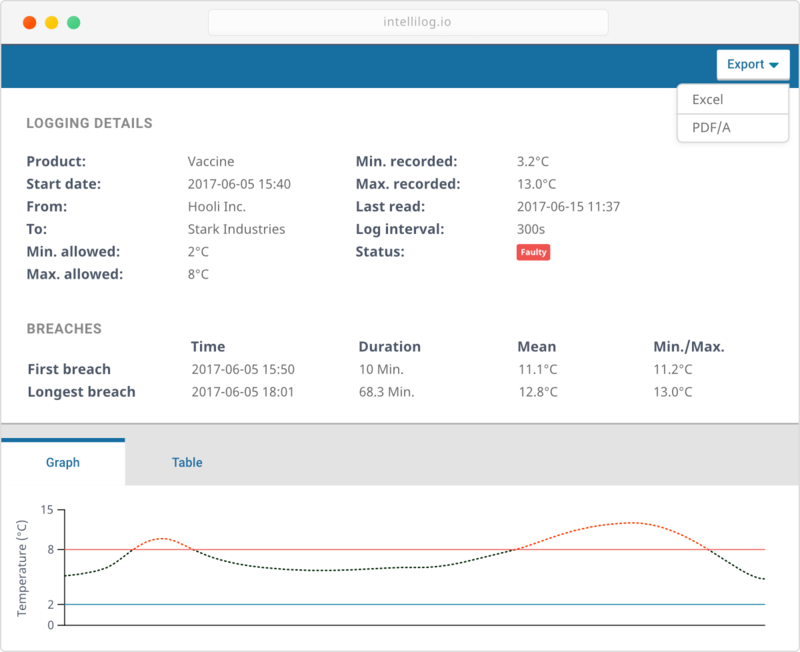 Logger settings, statistics, the temperature graph and even the export functionality, are all on a single screen and accessible from anywhere. Add members to your organization and define their roles and permissions. Companies within a supply chain can create rules to share temperature recordings. No need to tediously send PDFs, or even entire loggers, across the globe. The data logs can be read and shared with you right at the receiving end. Click the button below to register for a free standard account and get started now! If you have questions regarding the functionalities, please feel free to contact us on the number below.